In a land still recovering from disaster, a year since Nepal faced its worst earthquake in eight decades, my differences stick out: an American Jew, a woman, and the grandchild of Holocaust survivors. And yet, I am also human. Caring for others, when they have experienced painful moments during crises and natural disasters, is what I consider part of being human. Seventy years after my grandparents were given the tools to rebuild their lives after the horrors of WWII, I came to Nepal – the representative of the same organization, the American Jewish Joint Distribution Committee (JDC), that helped my grandparents – to do the same for others. And that has long been part of my journey. From working with Jewish teens in Turkey developing meaningful peer programming, on their terms, as a fellow in the JDC Entwine Global Jewish Service Corps, to traveling to Israel to work with migrants and help them tackle the challenges they face living between two worlds, I developed a keen sense of the transformative power of service through a Jewish lens. I then returned to the U.S. to work with Entwine, The American Jewish Joint Distribution Committee’s movement to catalyze a generation of young Jews to live a life of action with global Jewish responsibility at its core. Joining JDC’s Nepal team for six months was driven by that goal, now as the head of Entwine’s Global Jewish Service Corps, I felt it was important to lead by example and demonstrate the value of young people, especially as a young woman, in improving the world and empowering the most vulnerable. When I arrived in Nepal, I heard stories from women who survived the quake and, in them, saw my grandmother’s resilience to move forward from devastation. One woman stands out: Apsara Dangol. At less than five feet tall, with fierce eyes and a welcoming smile, she can often be found on the back of her husband’s scooter going from one temporary shelter to another, assisting those still rebuilding their lives. Full of heart and tenacity, Aspara wears a red sari that doubles as the uniform for health volunteers working for the organization she founded, the Khokana Women’s Awareness Society (KWAS). With a background in nursing, she’s running a community clinic offering maternal and reproductive health care to the women of Khokana, a village south of Kathmandu. Khokana is where one can truly experience the challenging reality of a country hard-hit by an earthquake. Here, almost every structure crumbled and Apsara is just one of countless Nepalese who lost homes. To help her people, Apsara mobilized the KWAS volunteer network – a Nepali NGO supporting women’s rights and services – to partner with us and Homenet South Asia to establish community centers providing hundreds of women and their families with childcare, psychosocial counseling, and skill-based training. This sentiment, and the approach, is not far from our Jewish community. JDC has long deployed a community center model — where a variety of human and cultural services are developed around vulnerable and evolving communities — among the Jewish communities we aid, and even non-sectarian populations. These include a network of well-known Jewish Community Centers in emerging Jewish communities in the former Soviet Union as well as centers created for disaster survivors in Sri Lanka and Japan. Despite this oasis, more remains to be done for Nepali women. Faced with inadequate education, lack of property, low literacy rates, these women are also responsible for raising children, preparing food, and caring for sick family members. After the earthquake, their challenges were exacerbated as their homes, which are also their factories and stores, were destroyed along with many of the products and materials they produced. But these women are resilient and determined partners. Over the last year – together with them and other local organizations and communities – Jewish and Israeli organizations such as Tevel B’Tzedek have made real change in Nepal. I’ve been proud to be part of JDC’s efforts, supported by the Jewish Federations and Jewish donors worldwide, which after providing critical aid in the days and months after the earthquake have evolved to help train and place hundreds of community and youth leaders and teachers; provided thousands with livelihood training; and help build seven schools, water systems, multiple check dams, five thriving community centers with childcare centers, and two fully accessible health clinics, under construction and powered by solar energy. So the differences, it seem, can melt away. While some people in Nepal initially had little concept of Jews or Judaism when I arrived, it was exhilarating and powerful that the first interaction they had with our tradition is observing our representatives help them implement the Jewish value of tikkun olam. I’ve always visualized tikkun olam in the way of Jewish mystics: during creation, vessels containing good were shattered and segmented pieces were scattered in the universe. Thus, my personal journey has been about collecting those broken pieces and trying to put the “good” back together again. In Nepal, we are literally putting those pieces together again, one-by-one, to build the country back better than before. 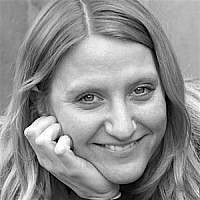 Shauna Ruda is JDC Entwine’s Program Director for Global Volunteer Programs and is serving as JDC’s rotating representative in Nepal. 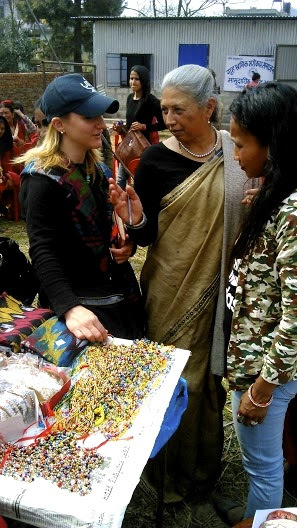 Shauna Ruda is JDC Entwine's Program Director for Global Volunteer Programs and is serving as JDC's rotating representative in Nepal.